TransAqua, the Greater Moncton Wastewater Commission, announced today that it is no longer pursuing a public-private partnership (P3) option at this time for funding the federally mandated upgrades to its wastewater treatment facility located in Riverview. 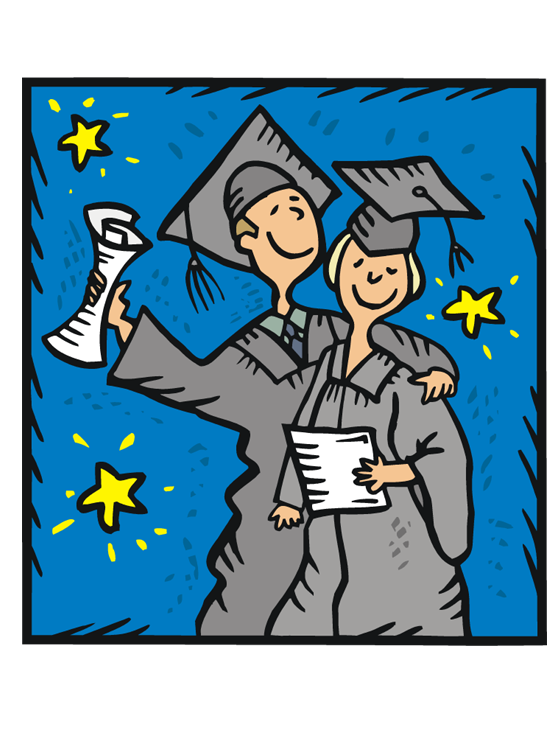 It seems like an entire batch of young people I know are graduating from high school or university this year. The good side is that you get invited to some nice get-togethers among friends and family to celebrate. If you’re really lucky, however, you get to go to the parties and skip the god-awful boring graduation ceremonies. My high school graduation – the 1982 class of École Mathieu-Martin – was apparently the largest graduating class in school history with more than 500 graduates. It was a thousand degrees outside that day 33 years ago. Inside the J.-Louis Levesque Arena at the Université de Moncton, it was probably twice that hot. As we sat there in the sweltering heat in our gowns and formal attire, most of us fanned ourselves with our programs to make it bearable. We were, however, warned against doing so because it would seem undignified seeing that it was such an important event in our lives. Many of us obeyed until we eventually figured out that we weren’t about to be denied our diplomas because we created a bit of a comforting breeze around us with a piece of cardboard – so we went ahead and fanned ourselves as if our lives depended on it. I don’t think anyone’s diploma was shredded before we hit the stage. As silly as it sounds, this was the first time I remember feeling like public school was really over. The teachers who lorded over us (most of them benevolently, may I add) for years were still trying to control us for silly little things like fanning ourselves inside a hot and humid arena. Although it was a baby step, many of us realized as the ceremony dragged on that fanning ourselves with our programs was a bit of harmless rebellion which was starting on us on our journeys. For the most part, the only other times I’d been in the J.-Louis Levesque Arena was for Atlantic Grand Prix Wrestling matches in the 1970s and 1980s – also in the sweltering heat. I still remember being petrified when a couple of wrestlers – Nature Boy Dillon and Bulldog Bob Brown, I think – brought their brawl out onto the concrete floor and then into the stands. Or maybe it was Killer Karl Krupp. Regardless, I was scared. Of course, they weren’t going to beat up little kids in the stands, but I remember begging my father to leave while my equally terrified younger brother’s cup of pop got squeezed so hard in his hand due to stress that the top came off and the pop flew all over the place. He didn’t even notice until my father asked him what happened to his drink. My father made us stay, though, knowing we were perfectly safe high up in the stands. I’ll never forget that. So, graduates, those are my first two bits of advice: don’t listen to people in authority when you know what they’re asking you to do is wrong. It could be as silly as keeping yourself cool in uncomfortably high heat and humidity, or something much worse. Over your working careers – paid or volunteer – you’ll likely be asked to do stuff you disagree with. That’s normal – and most of the time you may have to hold your nose and do it anyway. However, if it puts you or others in danger, it would be wrong to follow through. You know the difference between right and wrong. Trust your instincts on that. Secondly, people with more experience than you can be valuable assets when faced with scary situations. It may not involve you being afraid that Killer Karl Krupp will climb into the stands of an arena to beat you up, but when someone with a lot of experience advises you to remain calm and that everything will be OK, there’s a pretty good chance that they’re sincerely trying to help you – and a pretty good chance they’re right. I’ll always remember my father just staying put while my brother and I were panicking to high heaven to get the heck out of the arena, but I had to trust him. After all, he was my drive home and I was only about seven years old at the time. However, if he started running for the exit, I can assure you I would have, as well. Most reputable, experienced mentors will give you sound advice based on experience. You can panic anyway and run, or you stick around and enjoy the show. Considering you’re going to be around for another 70 years or so, you might as well enjoy the show – and learn from it. The June 22 – July 5, 2015, edition of Brian Cormier’s Weekly Update is out! Thanks to St. Ann’s for 50 years of memories… and lobsters! 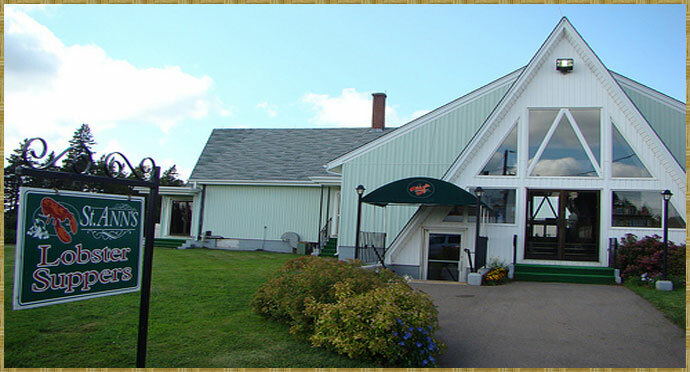 I was listening to the news the other day when I heard that the venerable St. Ann’s ‍Lobster Suppers on P.E.I. would be closing after 50 years in business. It was the first weekly ‍lobster supper on the Island and was a financial godsend for the parishioners of St. Ann’s Church located between Stanley Bridge and New Glasgow. For years, it kept the parish in the black and created employment, including for a number of my relatives. My grandmother’s ears perked up like a fox who’d just spied a delicious rabbit with a limp at the edge of the forest. Easy prey. “You don’t go to church back in Moncton?,” she asked, incredulous at our family’s heathenish tendencies. Meanwhile, my mother (who my grandmother couldn’t see from her vantage point) was giving me looks that could kill, waving her arms and motioning for me to stop talking right that instant or risk losing some of my favourite body parts. Let’s just say that on the ferry ride back to New Brunswick, I stayed away from the railings on the deck in case a certain mother decided to get revenge for me getting her in trouble with her own mother! I’m not sure if I could have conquered the Northumberland Strait after falling off a ferry. Our family went to St. Ann’s ‍Lob‍‍ster Suppers a number of times over the years and always enjoyed it. The brains behind the operation was their one-time parish priest Rev. Denis Gallant. “Father Denis,” as he was commonly known, had a booming voice and a commanding personality (including an ego to match!) – and I don’t think he ever met a mirror he didn’t like, either. He would come to visit my grandparents from time to time and would get the best chair in the house as he sat back with a cigarette and pontificated about something or other. But big personalities often have big ideas, and St. Ann’s ‍Lobster Suppers certainly was a great success over the years, sometimes serving up to 1,000 meals per night. Everything was homemade by locals and the friendly Island customer service kept people coming back for years. Eventually, however, others started to copy the format and eventually eclipsed St. Ann’s success with spacious, bright dining halls with windows – unlike St. Ann’s which held its ‍lob‍‍ster suppers downstairs in a cramped church basement located down a flight of stairs. Over the years, St. Ann’s just couldn’t compete with more modern facilities that cropped up here and there, including the very popular New Glasgow ‍Lobster Suppers just a few kilometres down the road. My strongest memory of St. Ann’s ‍Lobster Suppers was when a family member had a bit too much wine during a visit and got slightly tipsy. At one point, they fell off their chair, causing the organ player providing live entertainment to start singing, “Show me the way to go home; I’m tired and I want to go to bed; I had a little drink about an hour ago; And it’s gone right to my head.” I heard my father tell that story for years afterwards, coupled with much laughter. In any industry, there are always pioneers. St. Ann’s ‍Lobster Suppers was that for P.E.I. for many years, and I’m sure it attracted its fair share of patrons from New Brunswick every summer. The delicious desserts were made from scratch, as were the rolls, potato salad, coleslaw and everything else. Unfortunately, it just couldn’t keep up with the times, but the many memories made there by 50 years’ worth of tourists are definitely a lasting legacy. 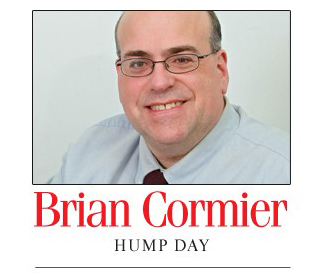 The June 15-21, 2015, edition of Brian Cormier’s Weekly Update is out!